The Comet Ultra mobility road scooter is built to support larger body shapes with performance and reliability. By offering secure, supportive and a powerful driving experience without compromising on style or functionality. Fully packed with all of the safety features and driving characteristics seen in other Comet scooters. 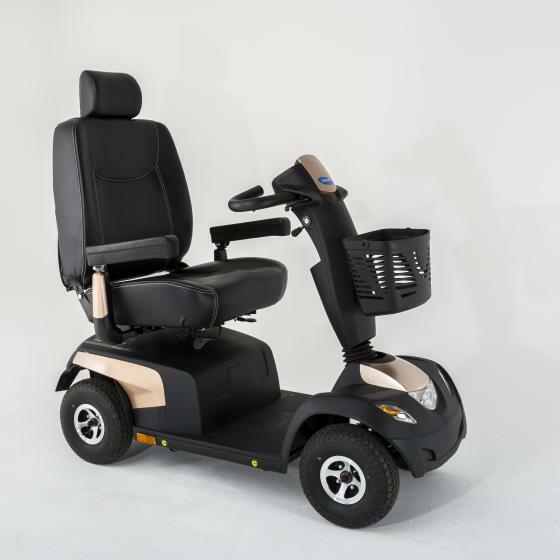 This scooter will be sure to get to your destination quickly and efficiently, in complete comfort and control. I would like to thank you and your friendly staff for helping out with the supplying and fitting of my disabled auntie's stair lift. I don’t know if you recall, but I rang from her hospital bed and the only way they would give her the all clear to be discharged was if she could have a stair lift or move to a bungalow, and the latter wasn’t an option. After contacting you the stair lift was fitted within 3 working days. Just wanted to say what fantastic service today my mother and I got today from Stephanie in Ashington. She talked us through the scooters, was patient and very informative. Makes a change to have such good service. Thank you. I was in need of a large road scooter, after spending hours shopping around, I ended up at the very best… Mobility Direct North! I would like to say a big thank you to Andy for all the help and support he has given to us and come up with a wheelchair which suits us just fine... well done.. it has changed our lives. Andy is a very good sympathetic person to have on your team and I will certainty recommend you. Terrific service from Mobility Direct, lovely technician... Family thought he was great. Really good job. Thank you. Wanted to say thank you so much for being so magic. Bought a chair in south gosforth today at 3.30pm and it’s set up for my dad in the flat in tynemouth by 5pm…really appreciate all your help, he’s over the moon. I own one of your excellent machines which gives me a high degree of mobility. I am an ex servicemen and value the new found confidence and freedom I have now.